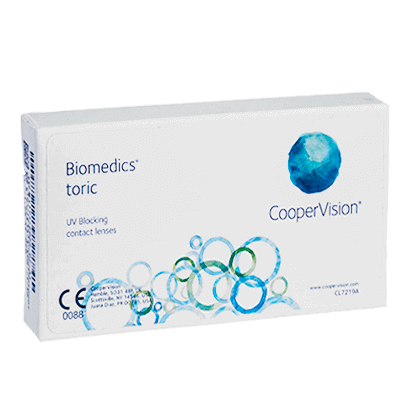 Offering comfortable and effective correction of astigmatism, Biomedics Toric contact lenses is a highly reliable monthly contact lens from CooperVision. Clear and crisp vision is delivered alongside impressive comfort and hygiene from these toric contact lenses for astigmatism. The thin design of this lens promotes exceptional comfort, sitting closer to the eye and ensuring a secure fit. Stable vision is achieved by the use of an exclusive Aberration Neutralising System that helps the lens maintain its position on the eye during movement. As a result, the lenses deliver clear and crisp images, unaffected by distortions, blurring and other visual interruptions. 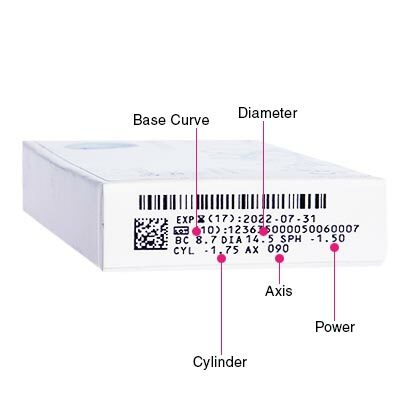 In addition to impressive correction of astigmatism, Biomedics Toric contacts are renowned for the hydration they provide, with a high water content keeping eyes fresh and moist all day long. This means those with a busy lifestyle can enjoy astigmatic correction and be sure their lenses will stand up to the tests of the modern workplace and digital devices. These monthly contact lenses may be worn for up to 30 days, provided you remove them before going to sleep each night. After removal, you’ll also need to clean and store them using a contact lens solution, such as our premium comfi All-in-One Solution. Storing them overnight in solution will leave them fresh and free from any dirt or irritants. You can then apply them in the morning to enjoy the same exceptional quality that Biomedics Toric contact lenses provide all month long. 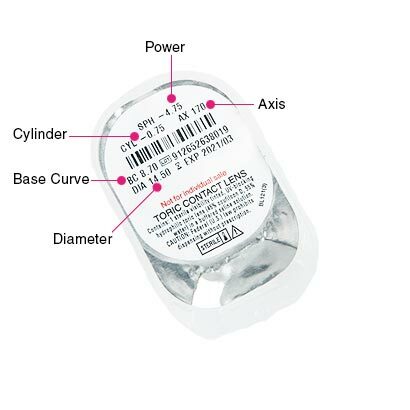 Air Optix for Astigmatism are similar toric lenses for astigmatism. I usually have a lot of issues with contacts, but these ones are perfect for me. Didn't even last a month, used all three already. They rip WAY too easily. Very disappointed.